Though it is one of the most dramatic consequences of Stalinist modernization, the story of the Kazakh famine of 1930-33, which led to the death of 1.5 million people and transformed a territory the size of continental Europe, has long remained hidden from view. Prof. Cameron’s talk will examine this largely unknown history, revealing the famine’s devastating consequences for Kazakh society. She will also consider how the case of the Kazakh famine should alter our understanding of violence, modernization and nation-making under Stalin. 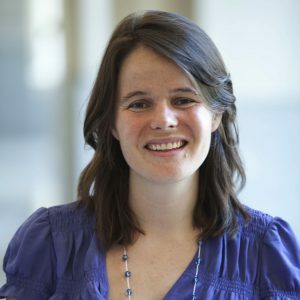 Sarah Cameron is an assistant professor of history at the University of Maryland-College Park, where she teaches courses on Soviet history and modern Central Asian history. Her book, The Hungry Steppe: Famine, Violence and the Making of Soviet Kazakhstan, is forthcoming with Cornell University Press in December 2018. This event is part of the newly launched Central Asia Working Group, supported by the UNC Center for Global Initiatives and the Center for Slavic, Eurasian, and East European Studies.